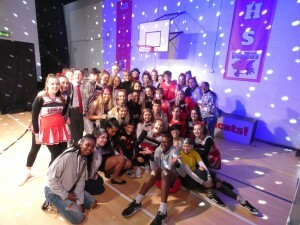 ‘High School Musical’ a resounding success. The Transition Year cast of High School Musical 2018, directed by Mr. Ruttle. Colourful and dynamic stage performance! 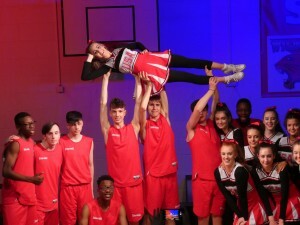 High School Musical was a resounding success as always, despite the ‘snow’ and inclement weather forcing the cancellation of some of the shows. Yet, determined and committed to completing what they had worked so hard for all year, the Transition Year cast of 2018, showed ‘true grit’ by reconvening once the weather improved, and put on the remaining shows to most approving audiences. It took place once again the intimately created surroundings of the Physical Education hall at Ashton. Practice had been relentless, hard work had not been spared. ‘High School Musical’, directed once again by Mr. Ruttle, was a marvellous feat of musical and dramatic excellence. Well done to all involved in such a colourful production, keeping audiences enthralled.